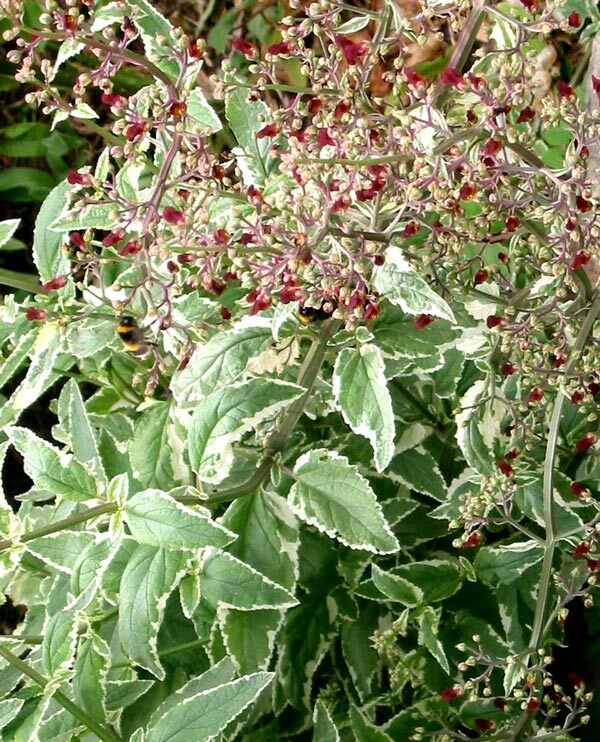 This perennial has it all - clean cream and green variegated leaves which grow neatly in a rosette, followed by tall growth and the littlest of red flowers in summer (which are absolutely adored by the bees). In this photograph you'll see the tiny flowers, which are insignificant but subtle, and appear in summer - and a few bumbling bees! Scrophularia is always a good looker - at any time of the gardening year. It's also really easy to propagate by taking off new shoots from the base of the plant. 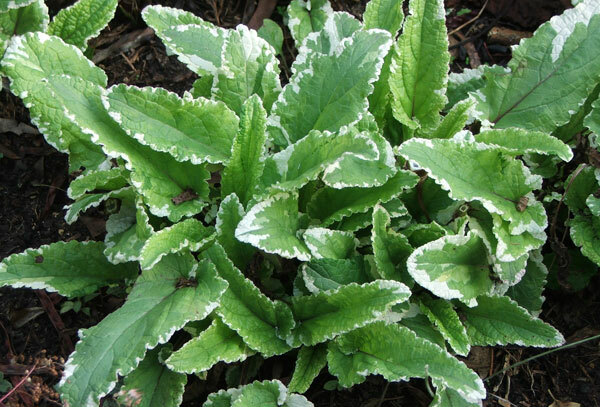 I discovered this perennial some years ago in the local Botanical Gardens, and was instantly charmed by the cream and green leaf patterns. I was in my variegated foliage phase, though!